Browsing the web for something fresh I found this adorable top from ZOOM BISOU. It makes a great transitional piece and you can wear it now and later on for Spring and Summer. 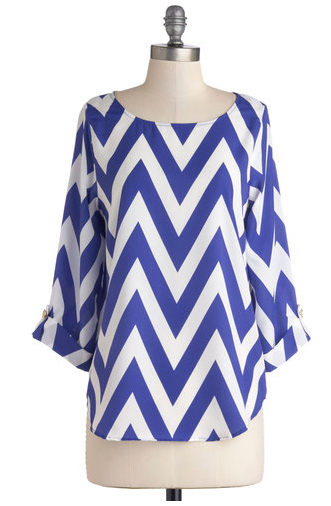 The bright chevron print is very stylish, timeless and works for day and night. The price is great too – only $39.99 and is made in the USA.